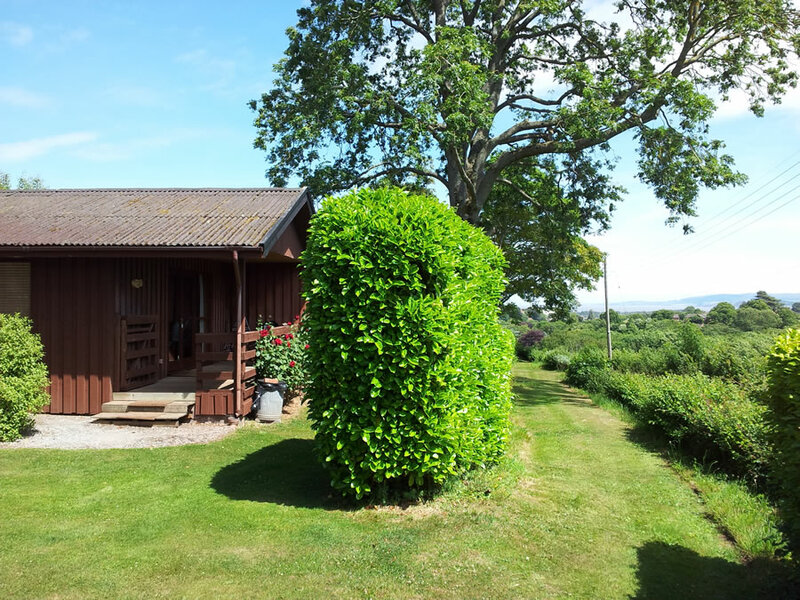 Pine Tree Lodge is a single storey timber built Lodge set about 50 meters away from it’s nearest neighbour. There is an area of lawn adjacent to it as well as the main lawns in the centre of the Lodges. 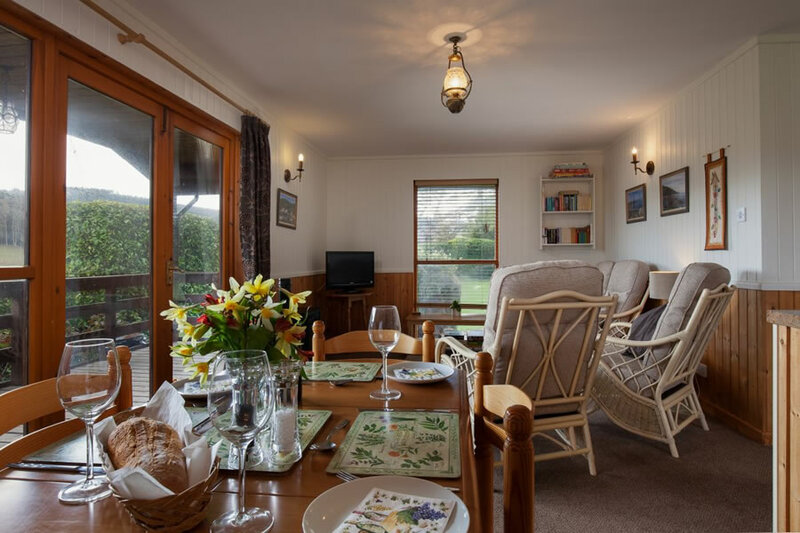 There are two shallow steps onto the veranda which has fabulous views over the valley and the veranda has four outdoor chairs and a table for alfresco dining or relaxing enjoying the peace and quiet of your surroundings. Entering the Lodge through the wide french windows that make up half the front wall of the room you come into the main L shaped living room. There is a dining area directly in front of the window with four dining chairs and a table plus a high stool adjacent to the kitchen work surface that separates the dining area from the kitchen beyond. 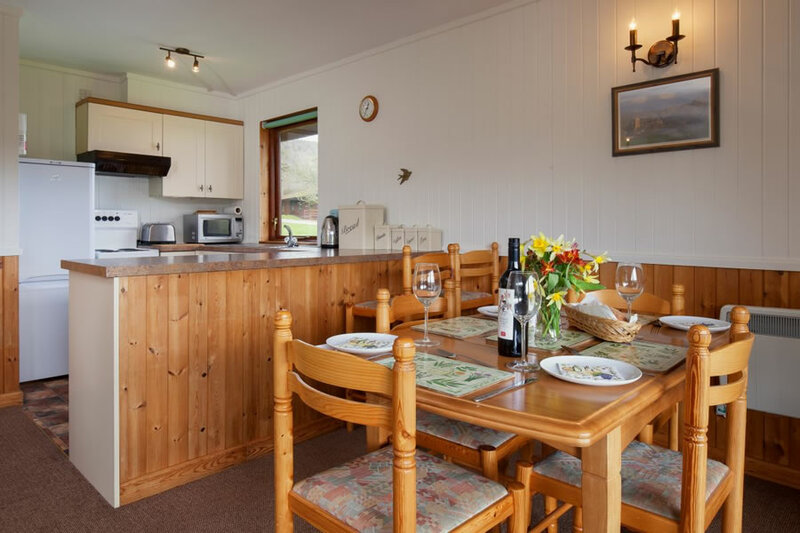 The kitchen is fully fitted with oven, grill, microwave, fridge freezer, dishwasher and a complete set of cooking equipment, crockery and cutlery. 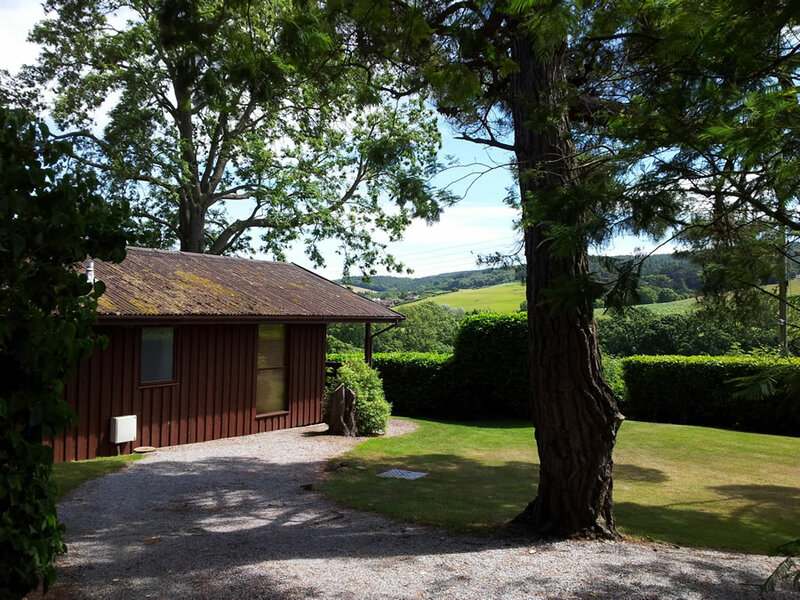 Hot water is supplied by electric immersion heater that is set on a timer to keep usage down as part of our green policy but is able to be overridden by our guests if they choose. 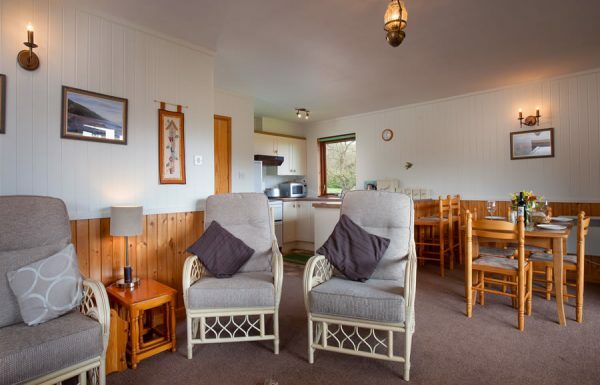 The sitting area runs alongside the dining area with a comfortable settee and two arm chairs. There is a flat screen colour television provided plus DVD player. 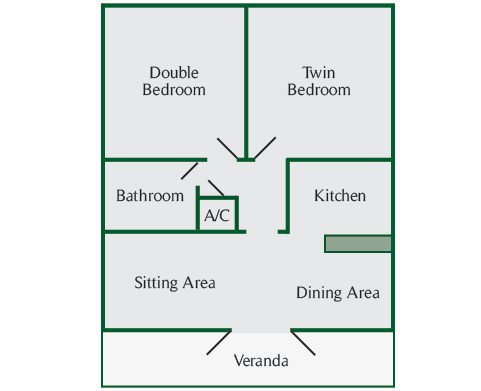 Pine Lodge has a twin and a double bedroom, a large L shaped living room, bathroom and large veranda. 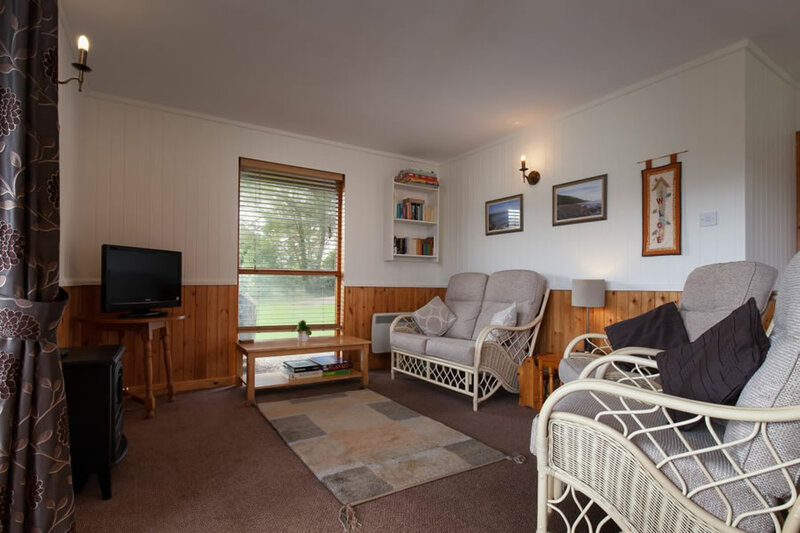 The holiday Lodge has some 67 square meters of living space. 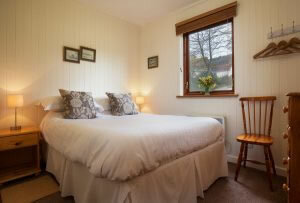 The double bedroom has a full king size double bed, hanging space, a chest of drawers and wall mounted convector heating. 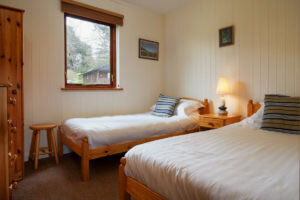 The twin bedroom has two full size single beds with a wardrobe, chest of drawers and wall mounted convector heating. Parking for up to two cars adjacent to the Lodges. 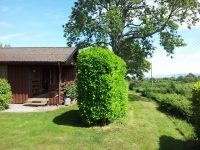 The wide veranda with its superb views has a table and chairs provided. Access to the Lodge is up three steps onto the veranda. Cedar lodge is identical, but in a different position!